I might not be the next Annie Leibovitz; but I’ve definitely been improving my photo skills in the past year. It’s a fun adventure (and an expensive habit buying new lenses, etc!). I discovered that Yahoo! News is using two photos (1, 2) I took of John McCain (in 2005 when he spoke at a Harvard Bookstore event) on their presidential campaign page about him. 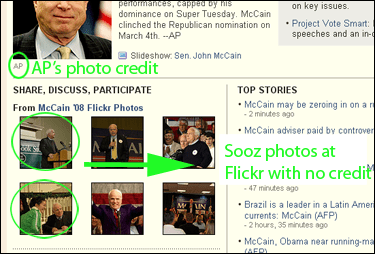 My photos are featured with four other photos posted on Flickr of John McCain. Above the Flickr photos there’s an Associated Press photo. You’ll know it’s an AP photo because there’s a photo credit at the bottom of it. There are no credits below my photos. The only reference to any sort of credit is “From McCain ’08 Flickr Photos” noted above the photos. I double checked the license on these photos and they both have “all rights reserved” — but I’m willing to give Yahoo! the benefit of the doubt since I’ve changed my license a few times and it might have been a variation of a Creative Commons license when they grabbed the photos. At the very least the photos would have an attribution requirement. 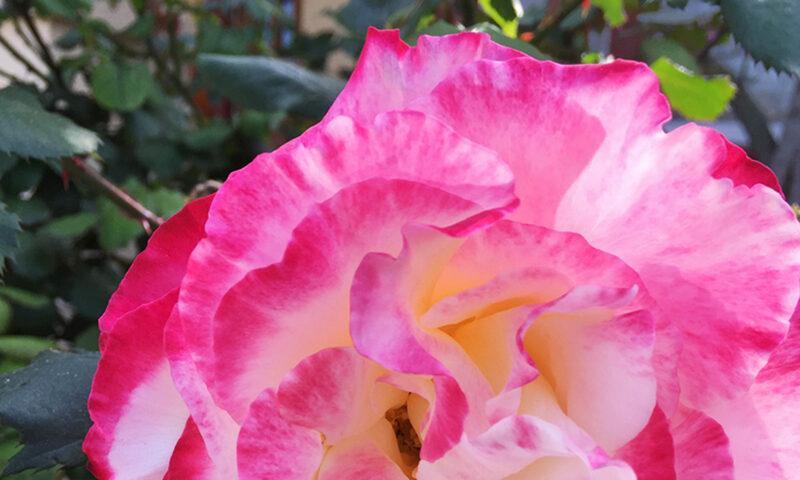 I looked at one of the other photos featured on the McCain page, and they have a Creative Commons license that requires attribution. I can’t figure out why Flickr (by way of their parent company Yahoo!) would ignore creative commons licenses. What am I missing?